India is currently the leading country in global economic growth rate and with GDP growth rate of 7%. India is expected to become the world's No. 1 most populous nation in 2050 with about half the people being 28 years old or younger. This will enable India to support a high labour economic growth rate in the future. 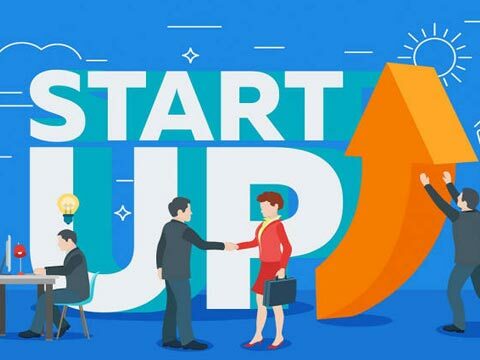 India is in the third position just behind US and UK with 20, 000 start-ups and 5200+ technology led start-ups which are poised to reach 10,500 by 2020 as reported by Start-up India and Nasscom. 7 million college graduates per year and 55% of the youth prefer working in start-ups over corporates. Median age of founders is 31 years. While metro cities like Bengaluru, Delhi NCR and Mumbai continue to be the start up hubs with 66% of overall start-up base, tier-II cities too have not been far behind due to availability of talent, government initiatives, local investor confidence and infrastructure support. Technology acts as a boon as the innovations make customers lives easier. The advances in the technology like artificial intelligence and machine learning, blockchain, storage and Computing as a Service and robotics leading to better business opportunities to chase. Government support is increasing as the Indian government has floated schemes for start-ups such as Single Point Registration Scheme (SPRS), Bank Credit Facilitation Scheme and others. A working population of about 850 Million makes sheer size of the Indian market as very large. Amongst the BRICs countries (Brazil, Russia, India, and China), India has the highest percentage of people in the working class (source: Goldman Sachs BRICS Report). Research shows that a very large proportion of this working age population will go into self-employment. The well-travelled, net-savvy Indian is identifying gaps and opportunities and examining the possibility of converting these opportunities into viable business models. A country must create certain ’General National Framework Conditions’ which can generate not only the opportunities for entrepreneurship but also the capacity for entrepreneurship. To produce successful business builders in India, it is imperative to create the right socio–political environment.